You definitely feel refreshed when ever you heard the name “Garden”. No doubt Garden is a place where you can find peace of mind,fragrance of flowers, Birds chirping, fresh breeze, soothing environment which takes your soul to some other level. A morning walk in a garden is really blessing for you. 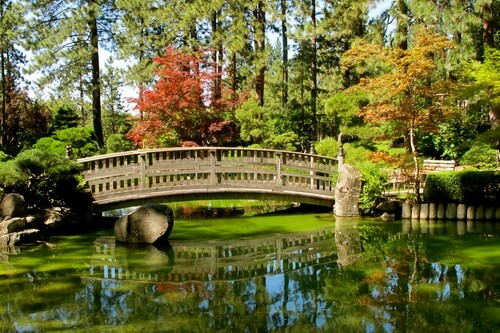 Meet 10 of the world’d most beautiful gardens. These places, created by humans to feel the blessings of nature. These are some of the well designed, built and most beautiful gardens from around the world. Another classical European garden in the vein of Versailles and the Tuilleries. Mirabell Palace with its beautiful gardens is a listed cultural heritage monument and part of the Historic Centre of the City of Salzburg UNESCO World Heritage Site. The Palace was built by Prince-Archbishop Wolf Dietrich von Raitenau in 1606. This beautiful garden redesigned in 1690, are full of beautiful sculptures, fountains, floral displays and a Dwarf Garden composed of marble creatures. The Hedge Theater – created between 1704 and 1718 – is located in the main part of the Mirabell Gardens and is one of the oldest hedge theaters north of the Alps. 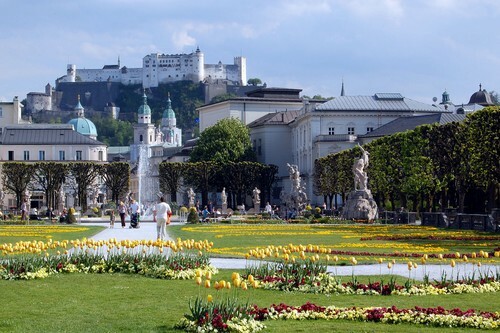 For “Sound of Music” fans, the baroque gardens are a must-see: Maria and the von Trapp children frolick through the grounds in the classic musical. The Royal Botanic Gardens Melbourne are internationally renowned botanical gardens located near the center of Melbourne, Victoria, Australia, on the south bank of the Yarra River. These beautiful Gardens extends over nearly 100 acres of park lands that include a children’s garden, aboriginal heritage walk, herbarium discovery walk, and observatory. Plus, enjoy special events like Philosophy in the Garden, Harp in the Garden, and Yoga for Kids in the children’s garden. 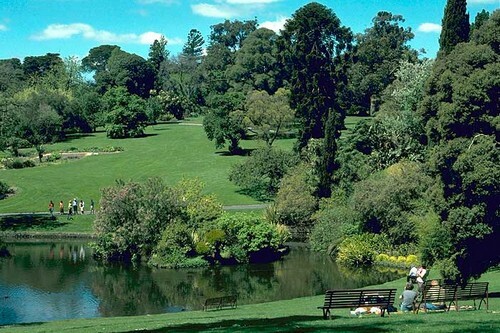 The park is one of the most popular destinations in Victoria, with over 1.5 million visitors each year, according to That’s Melbourne. 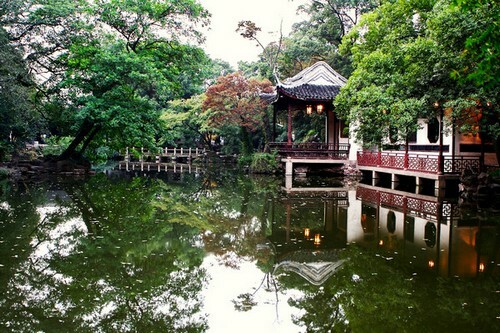 Located inside Xihui Park, this originally 16th-century garden in Jiangsu province is also known as the Garden of Ecstasy – which promises much. But it also delivers. This is a garden of illusion, occupying barely an acre but giving an impression of depth, breadth and height. An artificial mountain in distinctive yellow rock appears to be a natural part of the hilly landscape surrounding the garden, and a decorous “musical” stream gurgles down it into a long pool, its many inlets creating a feeling of naturalism. A beautiful low-eaved pavilion extends over the water at one point, while the far end of the pool is dignified by the Bridge of Seven Stars. Beyond this the garden dissolves into more compartments with pavilions and allées. The fact that the garden was comprehensively restored in the 19th century does not alter the fact of its beauty. Bagh-e Fin, located in Kashan, Iran, is a historical Persian garden. It contains Kashan’s Fin Bath, where Amir Kabir, the Qajarid chancellor, was murdered by an assassin sent by King Nasereddin Shah in 1852. 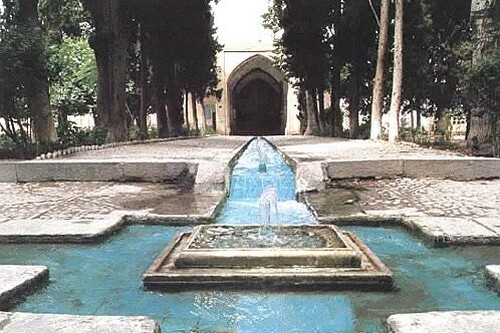 Completed in 1590, the Fin Garden is the oldest extant garden in the list of most beautiful gardens in Iran. The garden covers 2.3 hectares with a main yard surrounded by ramparts with four circular towers. It features the typical “chahar bagh” design of crossed water rills, derived from verses in the Koran which describe paradise as a land where two rivers cross. In this case the water is drawn from the mountains via an underground system of quanats, or pipes. The garden contains numerous cypress trees and combines architectural features of the Safavid, Zandiyeh and Qajar periods. Founded by the Arizona Cactus and Native Flora Society in 1937 and established at this site in 1939, the garden has more than 21,000 plants, in more than 4000 taxa. While there are a number of stunning botanical gardens across the U.S., Phoenix’s Desert Botanical Gardens is one of the best and most beautiful gardens, offering a unique glimpse at a variety of desert flora. Visitors should be prepared to face the heat and dryness, but it’s worth it for a tour of the extensive park, surrounded by vibrant red rocks. 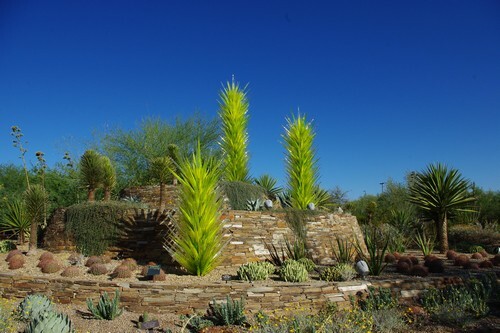 The Desert Botanical Garden has been designated as a Phoenix Point of Pride and listed among the list of most beautiful gardens. One of Japan’s Three Great Gardens, the Kenroku-en (“garden combining six”) Garden is a haven of peace and tranquility in Ishikawa. With an area of 11.4 hectares located on the heights of the central part of Kanazawa and next to Kanazawa Castle. The Maeda family, who ruled the Kaga Clan in feudal times, maintained the garden from generation to generation. 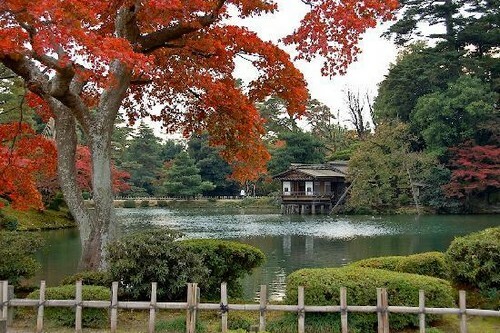 From its scale and beauty, it is regarded as one of the feudal lords’ most beautiful gardens in Japan. The garden is particularly stunning during cherry blossom season in the spring, and admission is free for two weeks at this time. 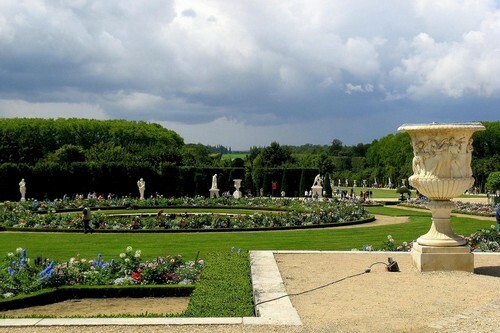 The historic gardens at the Versailles palace are some of the most impressive in all of Europe. These beautiful gardens cover some 800 hectares of land, much of which is landscaped in the classic French Garden style perfected here by Linnea. The grounds of Louis XIV’s luxurious palace were a point of pride for the Sun King, who thought the gardens to be as important as the palace itself. Visitors can spend days in the gardens alone, enjoying the flowers, fountains, winding paths and scenic vistas. The gardens are now one of the most visited public sites in France, receiving more than six million visitors a year. The Majorelle Garden is a twelve-acre botanical garden and artist’s landscape garden in Marrakech, Morocco. Its stunning cobalt blue accents make it easy to distinguish from any other botanical garden. Owner Yves Saint Laurent, the legendary fashion designer, even named a shade of nail polish from his luxury cosmetics line after it. Created in the 1920s by painter Jacques Majorelle, the garden has been named one of The Telegraph’s 50 Most Beautiful Gardens in the World, and is also one of the most popular tourist destinations in Morocco. The garden also houses the Islamic Art Museum of Marrakech, whose collection includes North African textiles from Saint-Laurent’s personal collection as well as ceramics, jewelry, and paintings by Majorelle. One of the world’s most beautiful gardens, Monet’s Garden in France. The garden was property of Oscar-Claude Monet, a founder of French Impressionist painting. Monet’s gardens are like his paintings — brightly colored patches that are messy but balanced. Flowers were his brushstrokes, a bit untamed and slapdash, but part of a carefully composed design. The painter lived at his house in the French countryside for 43 years, carefully cultivating his flower gardens and water garden. The grounds and house are open to visitors April through October. Tour the property, snap photos of the famous water lilies and visit the nearby Musee des Impressionnismes while you’re there. This garden is truly owns a spectacular place in list of beautiful gardens. 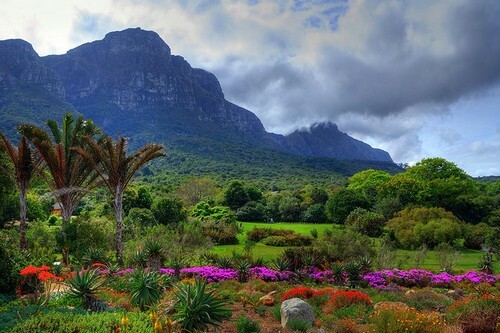 Kirstenbosch is South Africa’s world-famous national botanical garden, set against the backdrop of Table Mountain and Devil’s Peak, and home to more than 22 000 indigenous plants. We include this garden at the first place in our list of most beautiful gardens because of its beautiful and awsomagic environment. When the garden was founded in 1913 to preserve the country’s unique flora, it was the first botanical garden in the world with this ethos. Of particular interest to foreign visitors are the Protea garden – a showcase of these other-worldly plants – and the area devoted to Restio grasses, huge swathes of them in their characteristic deep greens and browns. It was discovered relatively recently that these plants need smoke from bush fires to reproduce, and Kirstenbosch has led the way in unravelling the mysteries of this process.